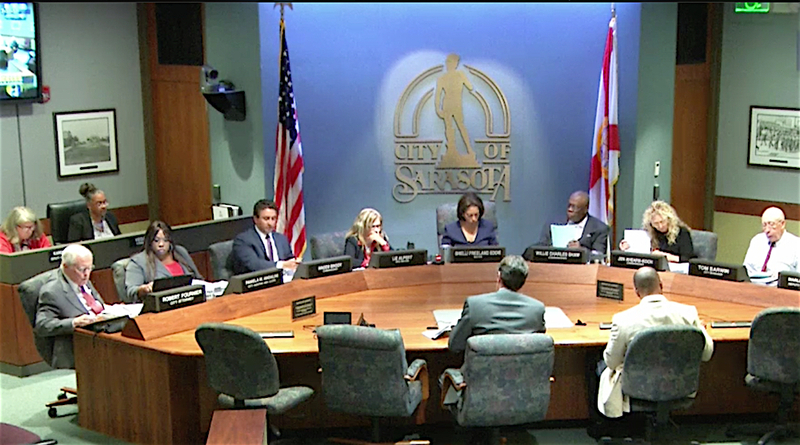 In early July, as the Sarasota City Commission unanimously agreed to a two-month ban on medical marijuana dispensaries within the city limits, City Attorney Robert Fournier anticipated being able to report back to the board by Sept. 5 on recommendations for next steps. 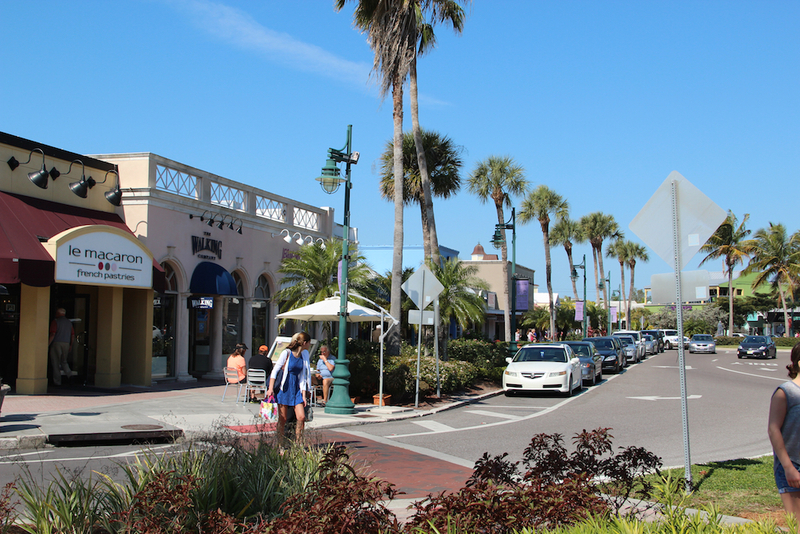 The board on July 3 directed staff to research how best to amend the city’s Zoning Code to provide for locations of such dispensaries without concern that the facilities could spring up all over the city, including on the circle of the tony St. Armands shopping district. 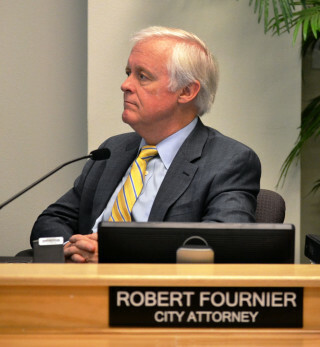 When no such report ended up on the Sept. 5 agenda, city residents used social media to vent complaints, saying Fournier was ignoring the deadline. At least one group — Stand Up Fight Back SRQ — asked supporters of dispensaries within the city to plan on attending the evening session of the Sept. 5 meeting to protest. A representative of that group also emailed Commissioner Jen Ahearn-Koch, who forwarded the email to Fournier and asked for an update. He further informed Ahearn-Koch that the person who sent her the email — which included information that also was posted on Facebook — incorrectly stated that he had put an item on the Sept. 5 agenda regarding the follow-up dispensaries discussion and then subsequently removed it. In fact, Fournier pointed out to Ahearn-Koch, he had prepared a memo for the commissioners, to bring them up-to-date on staff discussions in response to their July request for options to consider. That memo outlines a number of recommendations that would allow the commission to provide for medical marijuana dispensaries in designated zoning districts. The Legislature enacted Senate Bill 8-A, Fournier noted, which would have necessitated the city’s allowing dispensaries in all the zoning districts where pharmacies are permitted, “without restrictions or limitations.” The only other option, as he explained to the board members on July 3, was to ban dispensing facilities within the city boundaries, as the state law also allows municipalities to do. On July 3, commissioners voiced concerns about those choices, ultimately agreeing to ask staff “to review the Zoning Code, focusing on the locations where pharmacies are currently permitted, and come back with some recommendations as to how the Zoning Code might be amended to allow medical marijuana dispensaries,” as Fournier put it in the Sept. 2 memo. “This alternative also specifically included authorization for staff to make any recommendations regarding amendments to existing regulations applicable to pharmacies as might be necessary or appropriate,” Fournier added. Furthermore, Fournier explained, through the incorporation of those separate definitions into the Zoning Code, the code could acknowledge that pharmacies are sometimes the primary permitted uses for zoning purposes, but they more often are found to be “accessory uses.” For example, he continued, pharmacies could function as accessory uses to the principal uses of drugstores or grocery stores. Then, pharmacies could be permitted in certain zoning districts as primary uses, but in other districts, they would be allowed only as accessory uses, he noted. Fournier acknowledged that some of the commissioners might have a similar concern about allowing pharmacies as a principal permitted use in the Downtown Core district. 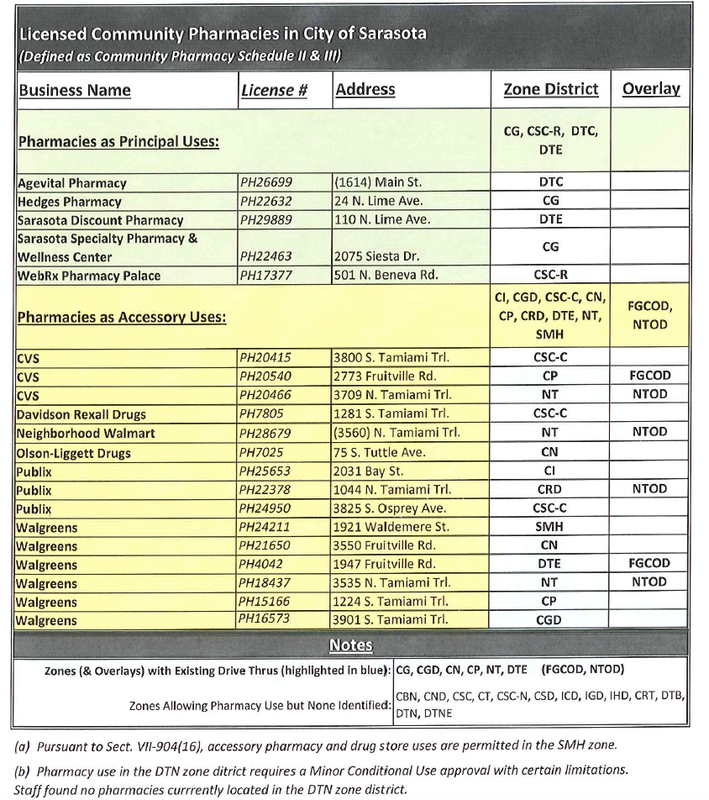 However, if the decision were made to keep pharmacies in that district, he added, “then staff might want to recommend a minimum distance” between pharmacies/dispensaries.